Greater Vancouver’s oldest Heritage Hotel. 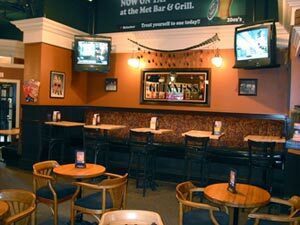 Centrally located, and just steps to SkyTrain. 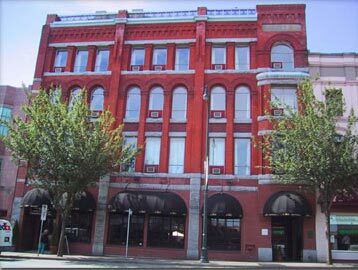 Built in 1892 and originally known as the Burr Block, this building is one of only two buildings in the downtown core to survive the fire of 1898. A classic Victorian building of red brick with terra cotta ornament, it has recently been redone as an elegant boutique hotel. The Met offers 26 guest rooms, each with eleven foot ceilings, decorated in a traditional style.